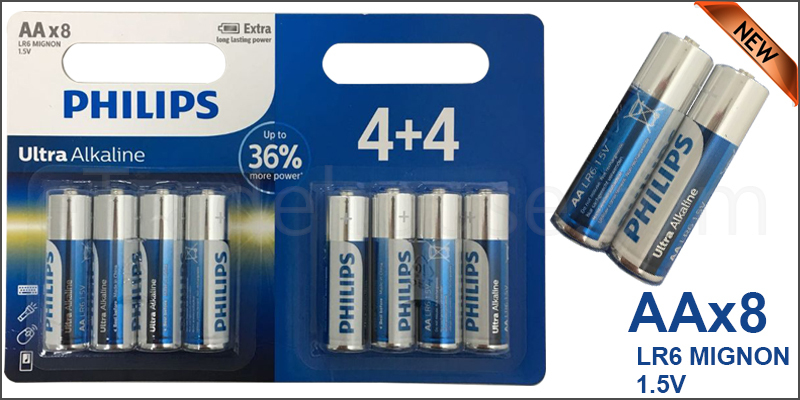 PHILIPS Plus Alkaline batteries offer reliable power forhigh drain devises. They deliver stable and long lasting current couple to along shelf life to support high drain devises such as CD players, toys, PDAsand electronic games. Long lasting power in regularly used devices such as,portable games consoles, shavers, remote controls, CD players, motorized toys,flashlights, toothbrushes, etc.